Yesterday I wrote about my life-long love of roller coasters, so it’s sometimes hard for me to remember that not everyone feels the same way. Such is my Mom, who really, really dislikes them. 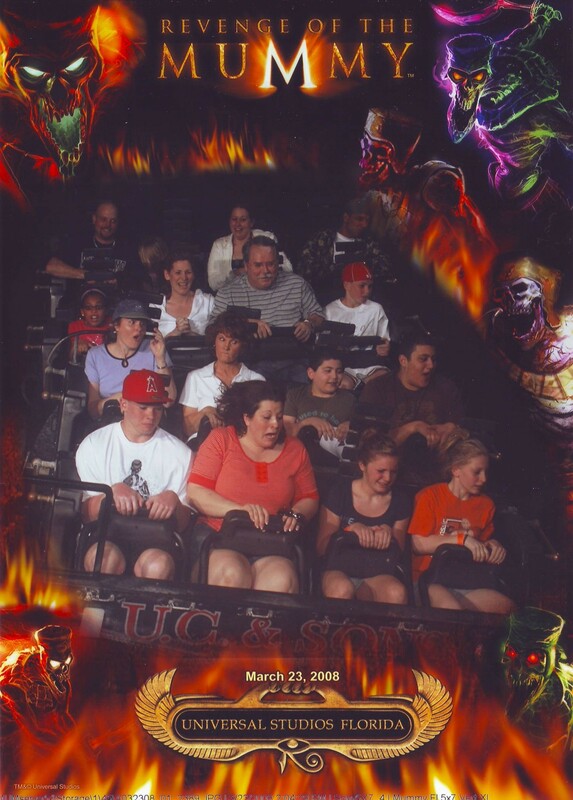 When she would fly out for visits when I lived in Orlando, she enjoyed our trips to the various theme parks — but to see the sites, enjoy the many shows, interact with the costumed characters, and to ride the calmer rides such as park-wide trains or shuttles that take guests through fun scenarios. In my defense, I thought that was what the Revenge of the Mummy ride at Universal Studios Orlando was going to be — a quick ride through various scene re-enactments from the movie, some mummies jumping out at us, and maybe a few clips of star Brendan Fraser sprinkled throughout. I was wrong. I told her we could just jump out of line and do something else but she decided to try it, reasoning it wouldn’t be too bad. We were wrong about that too. And here’s a closeup just to make sure you can see our faces. Yep, that’s the look of someone who isn’t happy! When we got off, my Mom tried to act brave and said she didn’t like it but she didn’t have too many problems. But then we heard loud laughter coming from people crowded around the photo display area. Yep, they were laughing at our picture! Of course we had to buy it. Sorry Mom! I know that look! It’s called the “stink-eye”. 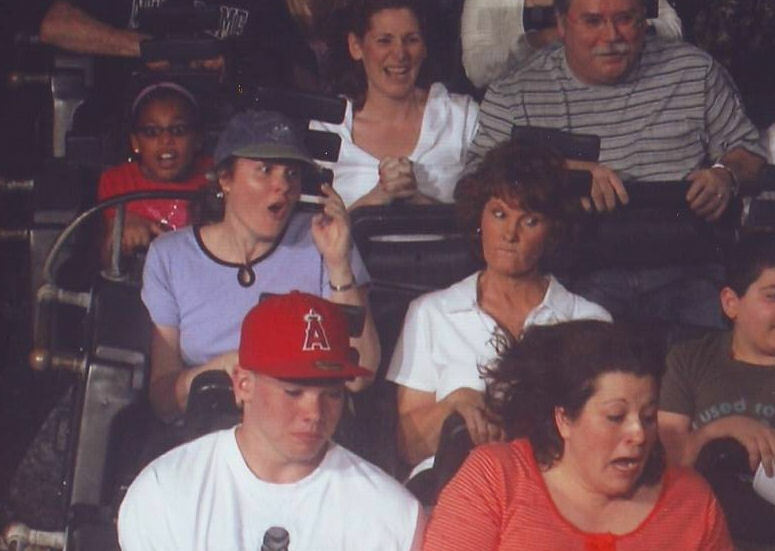 The looks on both daughter and mom’s faces say it all. And that look is definitely NOT “I want to ride again!” Hehe. Hehe! We can laugh about it now, but I was worried!